We welcome interested coaches! 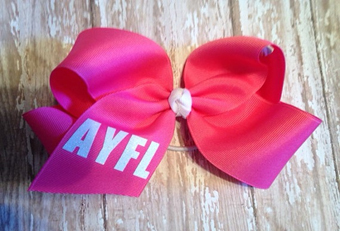 AYFL does not require the certifications that we need for our football coaches. If you have approximately five (5) hours per week to volunteer and are good with kids and excited to grow our cheer program then we would like to hear from you. Fitwize 4 Kids will provide free training for coaches over the summer, so please contact Cheer@ayfl.org for more information. Head coaches will also be reimbursed for their cheerleader’s registration fee at the end of the season!